A.E. 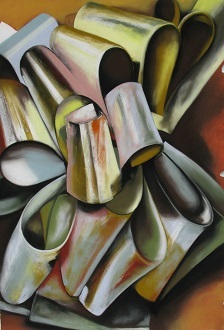 (Alicia) Stallings studied Classics at the University of Georgia and at Oxford University, and has lived in Athens, Greece since 1999. She has received numerous awards for her translations, including the Willis Barnstone Translation Prize, the John Frederick Nims Prize from Poetry Magazine, and a U.S. National Endowment for the Arts Translation Fellowship for work on the Medieval Cretan romance, The Erotokritos. Her verse translation of Lucretius’ The Nature of Things, in rhyming fourteeners, was published by Penguin Classics. She is currently at work on a new Penguin Classics verse translation of Hesiod’s Works and Days. Her published volumes of original poetry include Archaic Smile, winner of the Richard Wilbur Award; Hapax, winner of the Poets’ Prize; and most recently Olives, a U.S. National Book Critics Circle Award finalist. Among her additional honors are Guggenheim and United States Artists fellowships, and appointment to the American Academy of Arts and Sciences. In 2011, she was named a MacArthur Fellow for her poetry and translations. She is married to the journalist John Psaropoulos, with whom she has two smallish argonauts, Jason and Atalanta. The son of a high-ranking government official, Duo Duo (Li Shizheng) was born in Beijing in 1951. As a young intellectual during the Cultural Revolution, he was “sent down” in 1969 to countryside labor in Baiyangdian, Hebei Province. Later he worked as a journalist for Farmers’ Daily. An early “Misty” poet, he began writing in 1972, and publishing in 1982. After leaving China in 1989, he lived nearly 15 years in Holland, where he was poet-in-residence at Leiden University. He also served as poet-in-residence at Canada’s York University, and as a Chinese-language lecturer at London University. Among his published volumes are the poetry collections Salute: 38 Poems; Mileage: Poems 1973-1988; Amsterdam’s River; Selected Poetry of Duo Duo; Forty Year’s Selections; Promise, etc. ; and the short story collection A Lift. His work has been translated into English, German, Italian, and Dutch. Snow Plain, a sequence of short stories rendered in English by John Crespi and others, appeared in 2010. Duo Duo’s honors include numerous literary prizes in China and internationally. He is the first Chinese recipient of the Neustadt International Prize for Literature—sometimes called America’s Nobel—awarded in 2010. He currently teaches at the Humanities and Communication College of Hainan University, China. 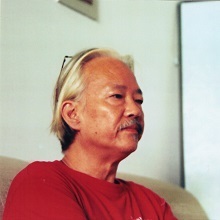 Lau Yee-ching, born 1949 in Hong Kong, worked as a mechanical technician after finishing his education, and began to write poetry in the ‘70s. His work has appeared in many Hong Kong major publications, such as Su Yeh Literature, Hong Kong Literature, New Harvest Poetry Magazine, and Fleurs des Lettres. Among his honors are the Hong Kong Youth Literary Award, the Worker’s Literature Award, and the Hong Kong Biennial Awards for Chinese Literature. In 1987, he helped found The One Ninth, a poetry journal, and was its initial editor. 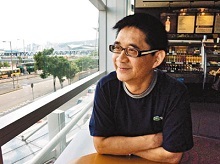 He has also served as judge for a number of Hong Kong’s important literature awards. Among his published poetry collections are Walking the Street Watching Festival Decorations (1997), which won the 5th Hong Kong Biennial Award for Chinese Literature, and Moving Stones, Walking the Street Watching Festival Decorations (2010), an enlarged version of his earlier collection. Share the post "Summer/Fall 2014"